Long lists of side effects have become somewhat of a norm but not any less irritating, and the same goes for those that accompany Viagra pills as well. From headaches to stomach aches to bloody noses, side effects, while mostly tolerable, can prove to be extremely annoying. For the most part, they are things that you would expect. However, some side effects might not make any sense at first. For example, imagine if you woke up one day, and suddenly it’s like somebody switched all the light bulbs in the house from yellow to blue. It may be rare, but blue vision is one of the many reported side effects of taking Viagra. This could be terrifying for somebody unaware of the possibility, but once you learn how it works, it’s much less scary. And it might also be helpful to know that Viagra isn’t the only cause for this condition. So, don’t think you’ve made some terrible mistake by taking Viagra just because you are seeing everything in blue. Other people experience this as well for different reasons, but for you, this could mean that you’re taking too much Viagra. Blue Vision has been linked to dosage strength. It’s simply a result of chemical reactions taking place, and it doesn’t have anything to do with the color of the pill itself. The medical term for this condition is Cyanopsia. 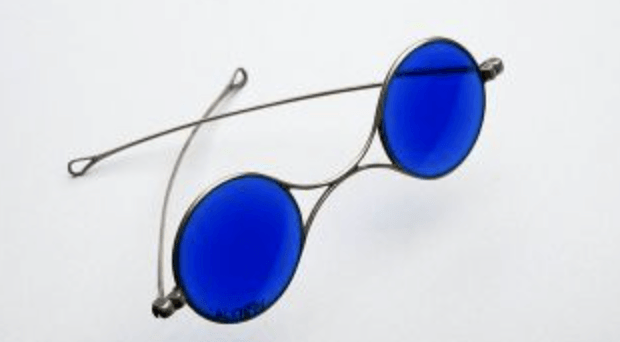 Also called blue vision, Cyanopsia is the medical term used to describe seeing everything with a blue tint. While not particularly common, there are a couple definite causes for this condition – the most common being cataract removal. The eye’s lens is tinted yellow, ultimately reducing the amount of blue that reaches the retina. When the lens is removed or altered due to cataracts in the eye, it is normally replaced with a clear, artificial lens that isn’t as effective for blocking blue light. 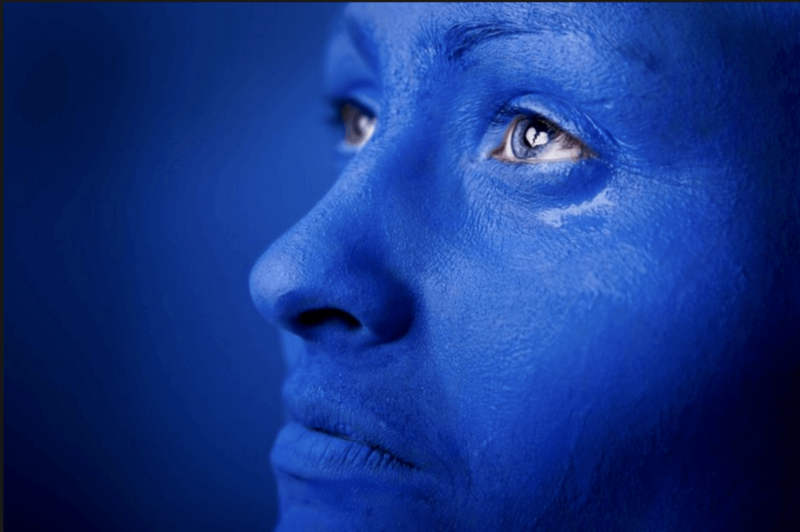 People have reported blue vision due to cataract removal a few days, weeks or even months afterward. Closely related to the blue vision phenomenon, Viagra has been known to cause a sensitivity to light in general. Both side effects are caused for the same reason, but users could experience a sensitivity to light without experiencing any discoloration in their vision. This might also include some mild pain or discomfort to bright lights or an irritation. Some users report feeling like they have something stuck in their eye. If you are experiencing any alterations with your vision or any irritations in the eyes, it is advised to stop taking Viagra until the side effects discontinue. It is also recommended to take Viagra in smaller doses, and if you find that you are not getting results because of this, perhaps consider switching treatment. Light sensitivity and other retinal issues can be very annoying, so it’s important that you pay attention to dosage and frequency, as well as the frequency of these side effects. Luckily, Cyanopsia isn’t a permanent condition, so if you can wait it out, your vision shouldn’t have any problems returning to normal. This is especially the case with Cyanopsia as a result of Viagra because users should only experience this as long as the medication is in their system. It’s also important to note that this condition is almost solely a result of dosage strength and those who take Viagra in excess. Some users have reported this side effect after just 50mg, but users become increasingly at risk as their dosage strength rises, and those taking over 100mg of Viagra should not be terribly surprised if they experience this side effect. That being said, it’s important to be taking the correct dosage of your Viagra medication. Make sure you have consulted your doctor about proper dosing and strength. Issues other than blue vision can arise with excess Sildenafil. If blue vision and other side effects become too common, it might even be wise to consider another erectile dysfunction treatment. Cialis, for example, is a Tadalafil drug, and its dosage requirements are much smaller than its Sildenafil competition. As could be expected, Viagra comes with a list of potential side effects. Some are more serious than others, with the most serious also being the most rarely occurring. This blue vision is one that’s particularly uncommon, especially for those taking lower doses. Those who take Viagra in doses higher than 100mg might expect a greater chance of blue-tinted vision, but it’s still only a temporary condition, and it shouldn’t cause any worry. It’s just a reaction to a certain inhibitor of the Viagra drug, and it has nothing to do with the color of the pill itself. The condition is directly linked to the amount of Viagra being taken. The higher the dosage, the greater the chance of this experience. For this reason, it’s important to get the correct info regarding dosage. It’s recommended to have this discussion with a doctor, even if you receive Sildenafil medication through an online source. If you experience bad experiences or frequent “blue vision,” maybe consider using a different erectile dysfunction treatment. For a list of trusted online pharmacies offering quality Viagra and its alternatives, consider our TOP Virtual Providers Catalog.